Federal authorities are wondering whether Edward Snowden, the leaker of widespread surveillance, can make it to Ecuador, which has offered the U.S. citizen asylum, The Wall Street Journal reports. Authorities believe Snowden is in the transit zone at Moscow’s Sheremetyevo International Airport, where Russian officials said they don’t have authority to apprehend the former NSA contractor. 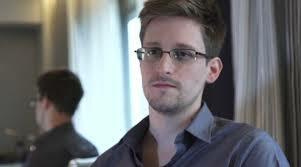 But for Snowden to reach Ecuador, he needs to find a county that would allow him free transit there and temporary travel documents, The Wall Street Journal reports. “He does not have any documents issued by the government of Ecuador, such as a passport or a refugee identification,” said Galo Galarza, a senior ministry official. Posted: 6/27/13 at 10:14 AM under News Story.